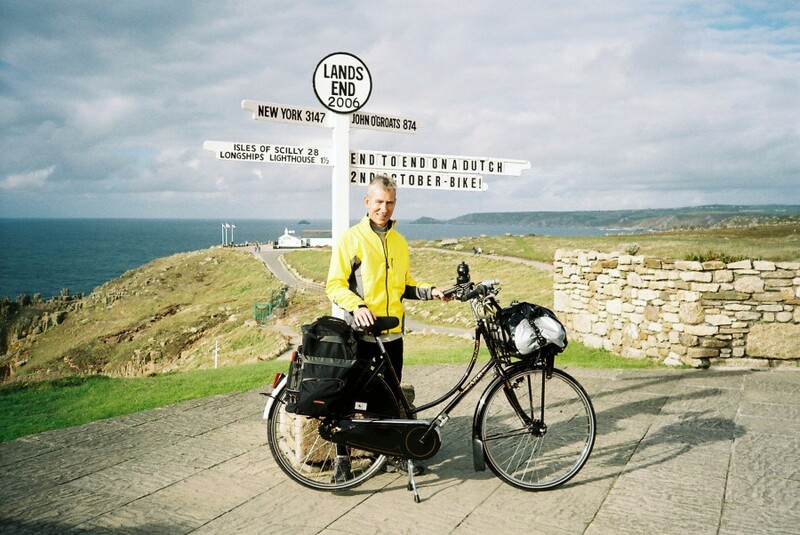 HomeLatest NewsLand’s End to John O Groats on a Dutch Bike. 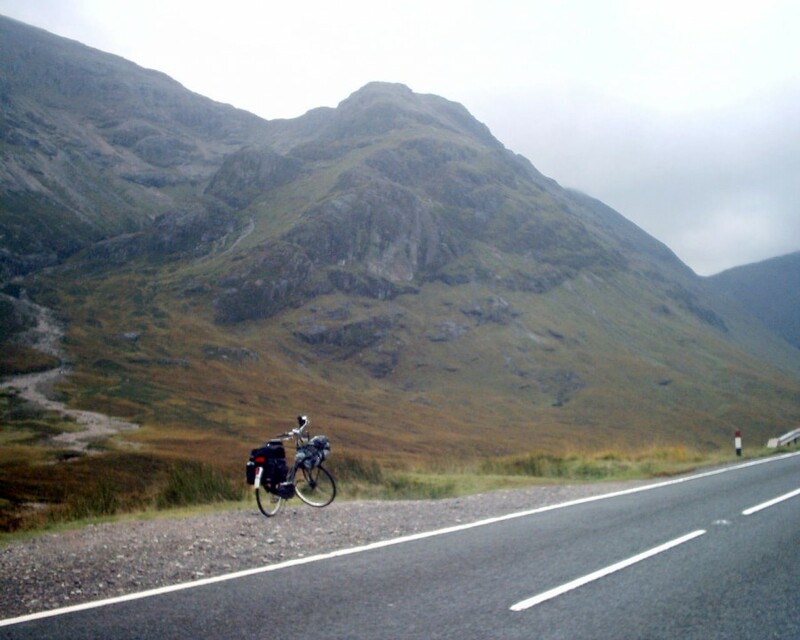 1150 miles, 14 days, no punctures..
Land’s End to John O Groats on a Dutch Bike. 1150 miles, 14 days, no punctures.. 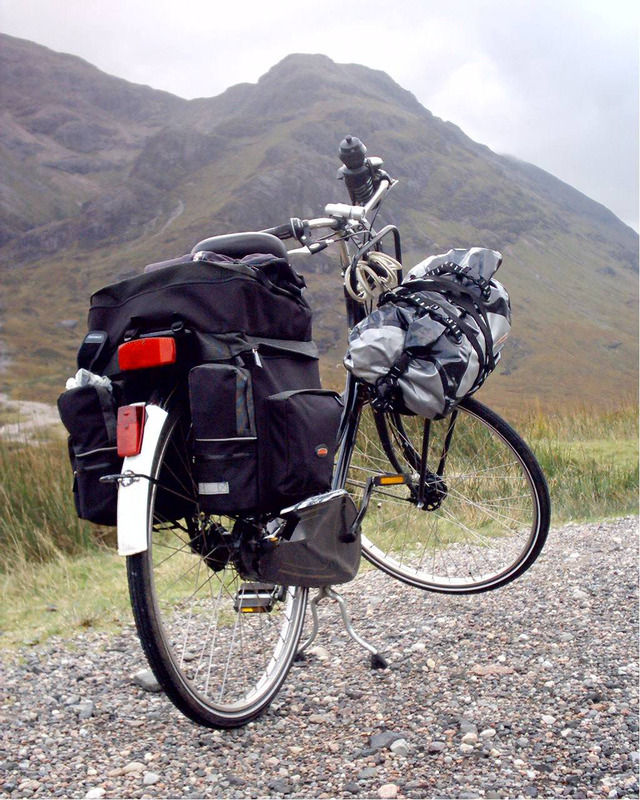 In October 2006, I cycled from Land’s End to John o Groat’s on a 3 speed Dutch Bike. At the time we had a different website and I featured the ride on our original website and it generated a lot of interest not just in Dutch bikes, but also in the route I took. Shortly after the Dutch Bike ride, which I rode both as a holiday and to raise money for MacMillan Cancer Support, I sold the my beloved Dutch bike to a lady who lived locally. I always regretted this as I had grown very fond of this particular Dutch Bike. For example, when we began importing Dutch bikes in 2003, this particular Dutch bike was the very first Dutch bike off the lorry that delivered our first batch of ten bikes. If you’re a keen touring cyclist as I am, or a regular commuter you’ll understand the bond that builds up between yourself and a bike. It’s an unusual relationship, and only one that someone who loves bicycles will fully understand and emphasise with. Anyway, shortly after selling my Land’s End to John O Groat’s Dutch bike, the lady who purchased the bike, moved away from our area and I lost contact with even seeing my beloved Dutch bike locally. The above picture is of myself, Paul Power and my much loved Azor Dutch Bike – a 3 speed Dutch bike, which is similar to the Batavus Old Dutch – at the start in Land’s End. Enough said, I was in the van and around to her house as soon as I could to pick up the bike. When I saw the bike, shock and horror at the condition. Unfortunately, the bike had been as she’d described left out in all weathers, uncovered and un-ridden and the deterioration was beyond what could be reasonably achieved with a normal service. Once back in our workshop, the guys gave the bike a thorough look over and inspection and came up with a quote to have the bike put back into a ridable, usable condition. Unsurprisingly, the costs were too prohibitive for our customer to pay. She could buy a new bike for less than the costs it would be to put her Dutch bike back into operation. So we came to an agreement. I purchased my Land’s end to John O Groat’s Dutch bike back from her and she’s used this money towards a superb new Batavus Dutch Bike. Workhas now been completed on the bike and I’m pleased to say it’s back to its full original glory. Visitors to the shop can usually see it parked outside. It gets lots of favourable attention, with many disappointed that it’s not for sale! The bike used was an Azor Oklahoma – this being the first Dutch bikes we stocked in our Dutch Bike shop. Azors are a terrific Dutch bike brand who make superb high-quality Dutch Bikes from their factory in Holland. They’re also famous for their cargo bikes – Hugh Salt from Dutch Bikes is their UK agent. We’ve enjoyed a long and friendly relationship with Hugh and we sold many Azor Dutch bikes here locally in the South East. We also service Azor Dutch Bikes and can source all parts and such like for them. 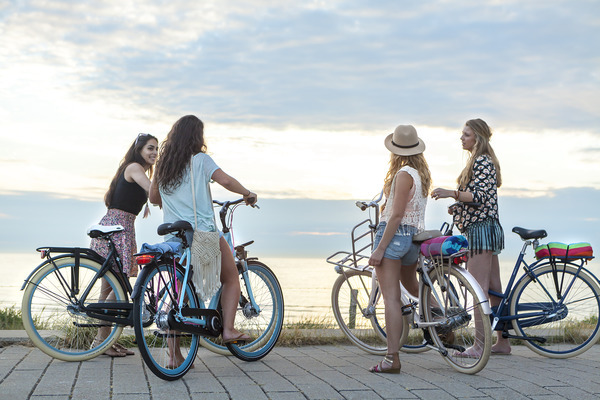 We stopped selling Azor bikes when were awarded the distribution rights to distribute Batavus Dutch bikes in the UK. Now that we have ceased to act as Batavus’s UK distributor, instead concentrating on retailing Batavus Dutch bikes – we’re hoping to add some of Hugh’s Azor Dutch bikes back in our Littlehampton store. So the bike itself was/is a 3 Speed Azor Oklahoma Dutch Bike. Today, a new one will cost you £750. As with most Dutch Bikes there’s been an upgrading of the components since I rode Land’s End to John O Groats on mine, most notably the drum brakes are now replaced with Shimano roller brakes and the 3 speed gears are now Shimano Nexus as opposed to my bike, which has SRAM gears. OK, so here’s a few pictures of my Azor Dutch Bike as when we collected it. Looking very sad and unloved. The tyres are the original – still in remarkable condition, despite the neglect. Can the paintwork be restored? The first thing this Dutch bike got was a good clean, allowing us to inspect the paintwork, chrome, tyres and all the other components and moving parts. To restore a bike, any bike, you must start with the cleaning, and a really good thorough clean at that. Once cleaned we decided that the paintwork could not be restored to anywhere near the condition that I want the bike. So the guys in the workshop set about stripping the bike down to the frame to get it ready to be sent off to the painters. We also sent the rear carrier, front and rear mudguards. Owen our always brilliant assistant manager, and mechanical guru set about restoring the stainless steel rims and spokes while Brian, my co-Director who lives for everything wheels (having been a previous aircraft wheel/undercarriage engineer) set about working on the 3 speed SRAM hub gear which is no longer working. Everything now works and it’s back to its original working condition, ready for the next adventure. 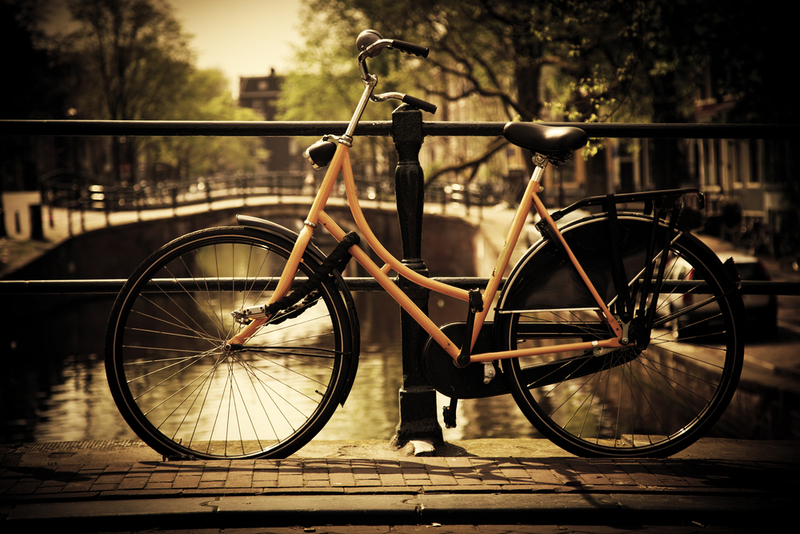 Thinking about buying a Dutch Bike? If travelling a distance, please telephone us in advance to ensure we’re open when visiting. 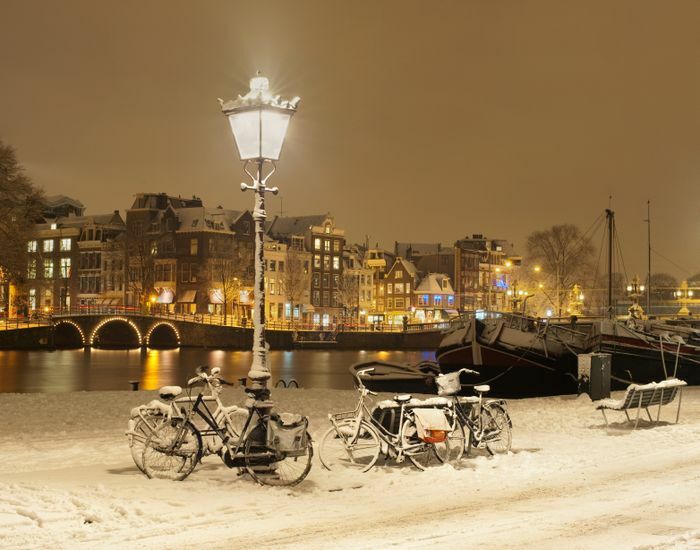 We sell a range of quality Dutch bikes and Ebikes from Europe’s leading brands. Also have a very busy workshop servicing and repairing all makes of bikes. 10, Anchor Springs, Duke Street, Littlehampton, West Sussex.